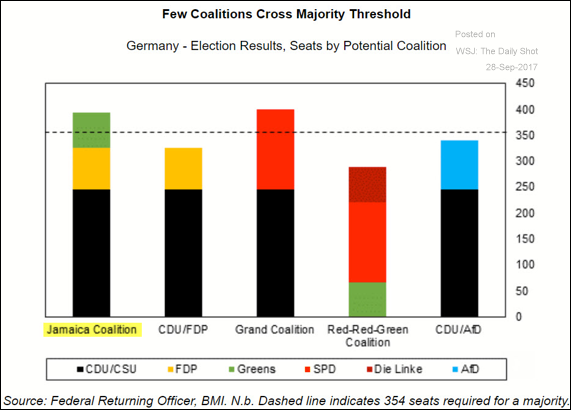 The United States: This table provides a comparison of the latest GOP tax proposal with the earlier versions. 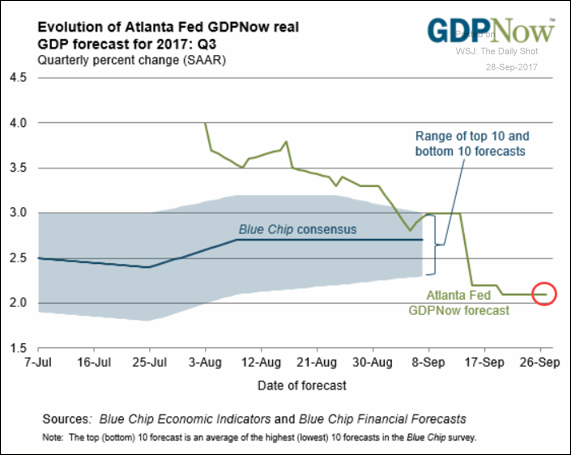 The Atlanta Fed GDPNow model still predicts just over 2% (annualized) GDP growth for the third quarter. 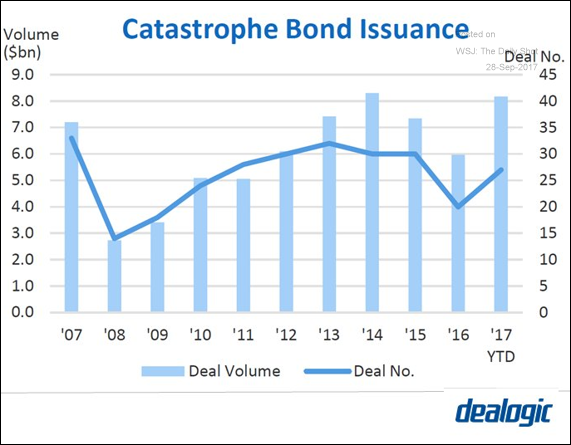 Credit: Cat bond issuance approaches record levels. 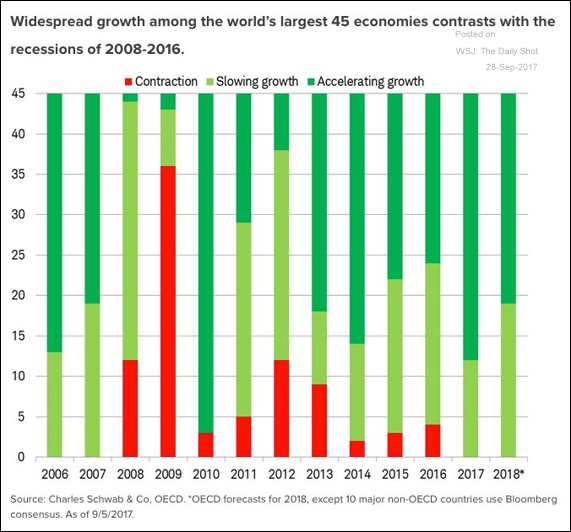 Global Developments: No major economy is expected to be in contraction next year. 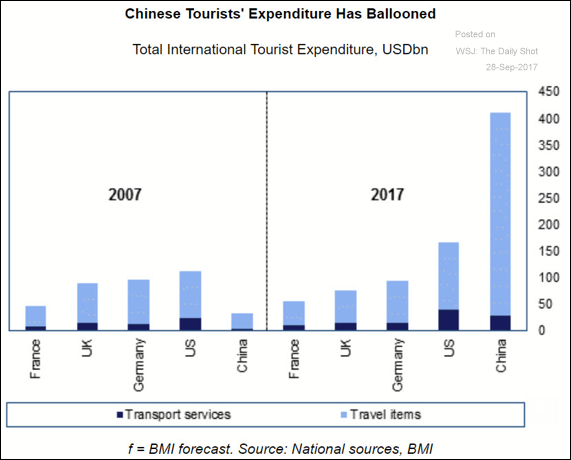 China: Here is how China’s tourism spending compares to other large economies – now and a decade ago. 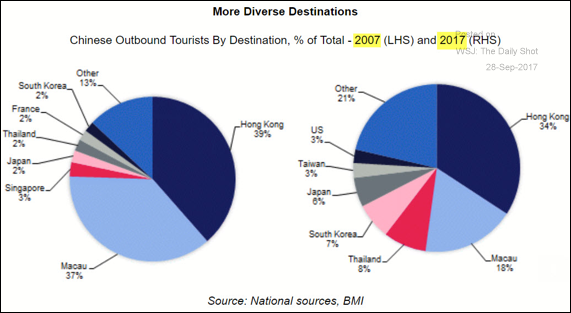 What are the nation’s tourists’ favorite destinations (now vs. a decade ago)? 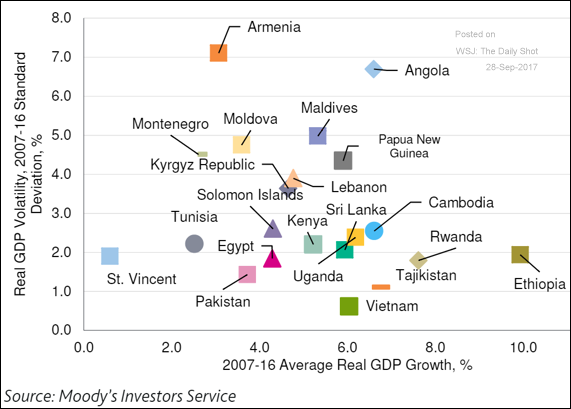 Emerging Markets: This chart shows the volatility of the GDP growth rates for a number of “frontier market” nations. 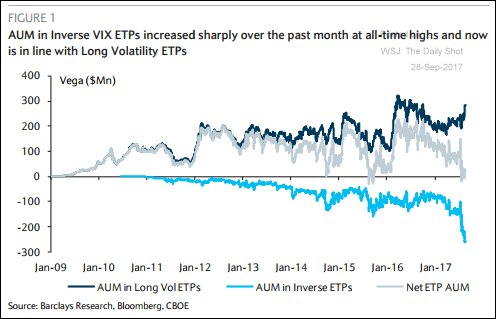 Equity Markets: Assets under management of inverse-VIX exchange-traded product (ETP) hit a record, catching up to the long-VIX ETP. 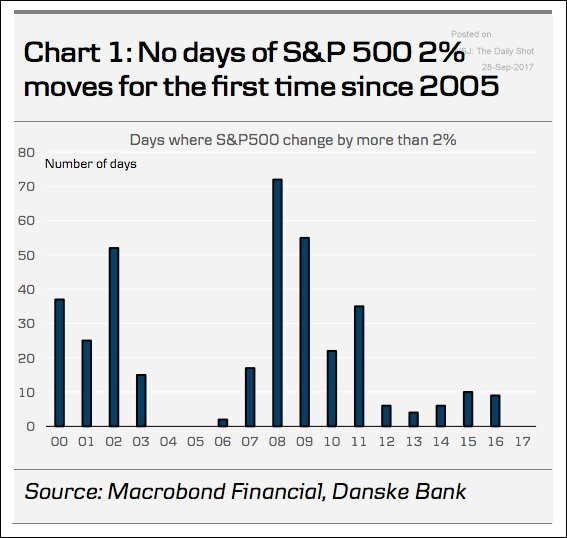 For the first time since 2005, there hasn’t been a 2% daily move in the S&P 500. 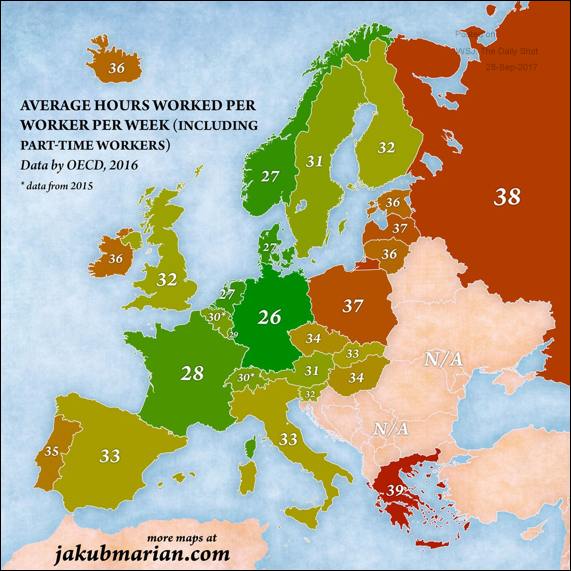 Food for Thought: According to this map, Germans work the lowest number of hours per week. 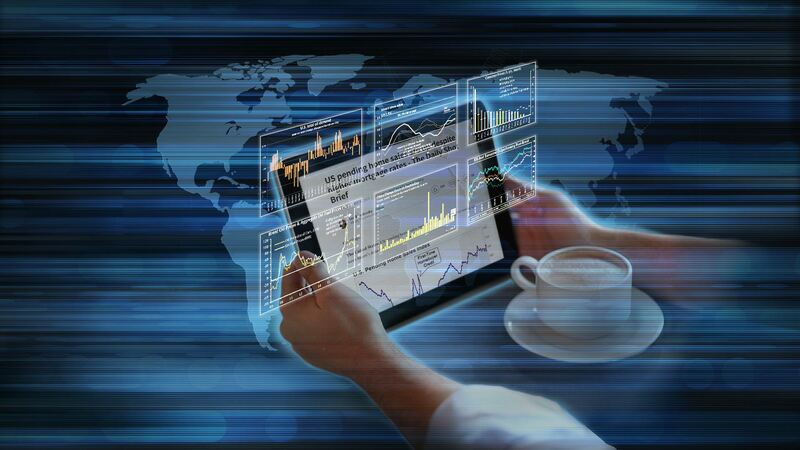 Greeks, on the other hand, work the most hours.